„Optikos pasaulyje” naudojama moderni Shin Nippon akių diagnostikos aparatūra. Jos dėka galima tiksliai ir greitai ištirti regėjimo sutrikimus, įvertinti akių būklę ir greitai parinkti reikiamą regėjimo korekciją - parinkti akinius bei kontaktinius lęšius, nustatyti jų stiprumą, bazinę kreivę ir kt.. 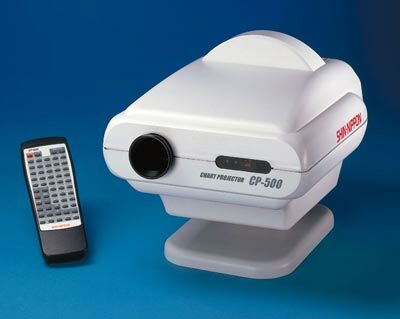 Wide measurement range of Sph - 25.00D to +25.00D , Cyl - 10.00D to + 10.00D . * LED lamp eliminates troublesome lamp replacement and makes battery life become as 3 or 4 times as longer than our older model . * Lever action becomes smoother by using linear sensor . * Results are displayed digitally . Three measure are given : right . left and right + left . * Measurement can be made for a single eye or for both eye . * Possible to measure PD from infinity to 30 cm. near vision continously . * Automatically switch off one minute after operation is completed . 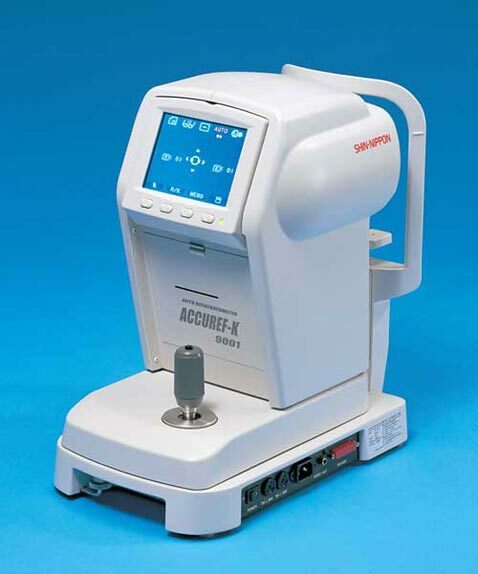 * Distance from tops of cornea to lenses of frames can also be measured .